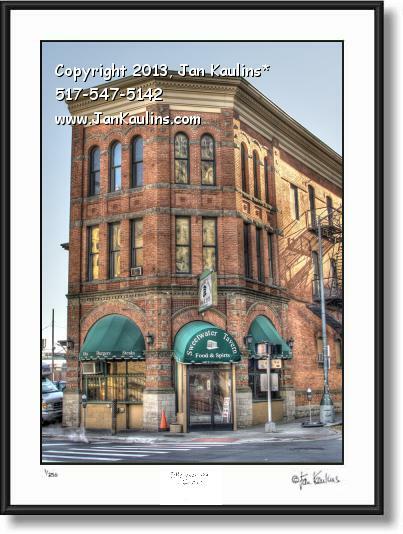 SWEETWATER TAVERN DETROIT photo art picture print photograph for sale. This SWEETWATER TAVERN photograph picture print for sale was taken as the late afternoon sun was glowing on the ancient bricks of the downtown Detroit landmark restaurant. It is located on East Congress Street in the old historical Detroit district. Among many local favorites on the menu is their most famous---- marinated Chicken Wings---yumm.